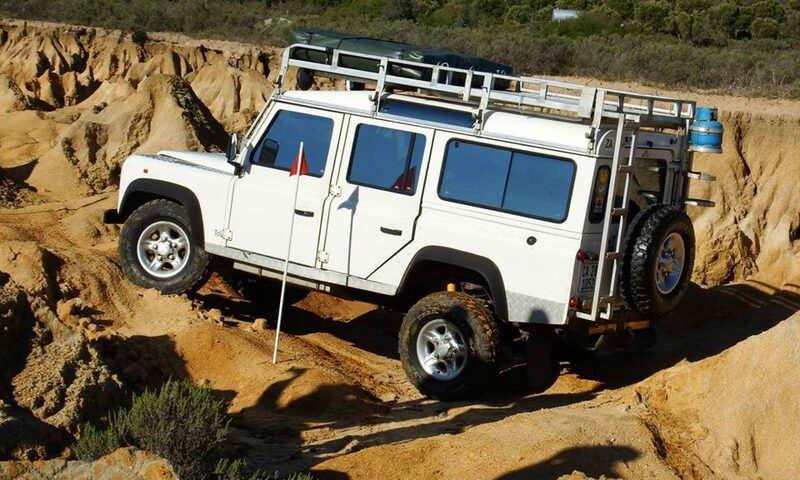 Come and join your club on an outing to Marcuskraal 4×4. 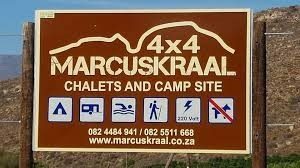 Marcuskraal 4×4 and Camp Site is situated 20km north of Citrusdal just off the N7 and is approximately 2 hours’ (190 km) drive from Cape Town. The farm’s location makes it ideal for visitors from Cape Town who want to escape the city, but do not want to spend most of their weekend traveling to their destination. 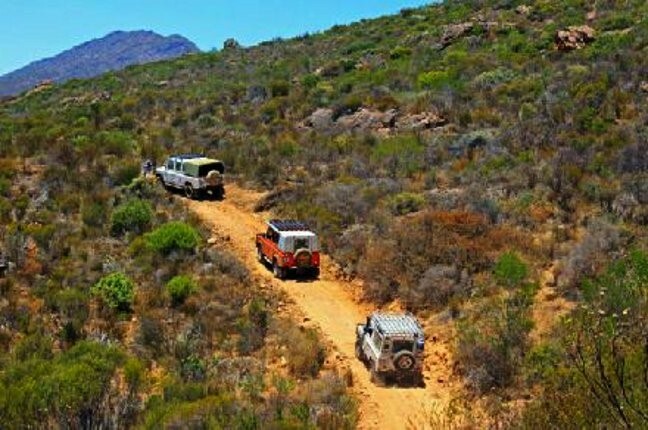 With 4×4 trails winding through mountain fynbos and revealing spectacular views of the rugged Cedarberg Mountains, Marcuskraal offers an unsurpassed experience for nature lovers and 4×4 enthusiasts. The routes offer a wide range of driving conditions, from thick sand and loose rock to steep rocky inclines. The newly established camp site offers lawn covered terraces, an abundance of trees providing shade and exceptionally neat and clean bathroom facilities. A pool offers respite from the heat during the day. All camp sites are equipped with electrical connections and communal water taps. With a 4×4 trail winding through mountain fynbos and revealing spectacular views of the rugged Cedarberg Mountains, Marcuskraal offers an unsurpassed experience for nature lovers and 4×4 enthusiasts. While most of the trails are suitable for novice 4×4 drivers, there are more challenging obstacles that will leave even die-hard 4×4 enthusiasts with a sense of accomplishment upon completion. The route leads drivers to the summit of the Osberg Mountain with breathtaking views of the surrounding mountains and valleys. On a clear day it is possible to see the Atlantic Ocean in the distance from the summit. 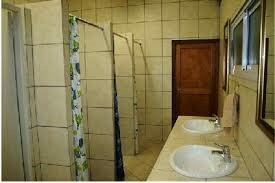 Approximately in the middle of the route is a bush camp with braai facilities and running water where visitors can rest and braai before continuing towards Dwarsrug. The summit of Dwarsrug rewards visitors with spectacular views down a sheer cliff of the orchards, farm house and camp site in the valley far below. A short drive takes visitors back to the camp site. The 24 km route takes approximately 4 hours to complete, excluding stopping time. 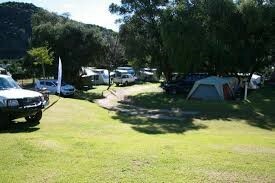 Friday: Arrive at campsite any time after 14:00; we will have a communal braai in the evening. Saturday: Have breakfast, then a briefing, before we depart for route at 9:30, remember lunch which we will have at the bush camp, you can have a quick braai if you like. After we return from the trail we will have a communal braai. Sunday: Leave for home at your own leisure. NB: If you intend booking a chalet please indicate before January 2019 as they are very popular. In order to secure a spot and assist with logistical arrangements please RSVP to Elna Buitenhuis on outings@4wd-wc.co.za by latest 20 January 2019, and pay the R520 camping fee. Please note that your name will only be placed on the “confirmed members” list after your non-refundable payment has been received. We can only accommodate 12 vehicles on this trip. Please contact Denis Vertenten for any enquiries on denisv@telkomsa.net or 083 458 3567. Communication between participating vehicles on any 4×4 excursion is important for many reasons. It benefits the safety of drivers, passengers and vehicles while on a 4×4 trail, where drivers can communicate with one another regarding their location and situation, not to mention the interesting information that is shared with participants. The fun part is the many interesting stories that are shared among participants. For those who have not got a VHF Radio with the ORRA Channels the Club has radios available for hire. Contact Jimmy Niemann radio@4wd-wc.co.za in this regard, well in advance please. Should you be hiring a radio, please ensure that your lighter socket is working. Somebody from the group will be requested to write a short trip report for the website and our Facebook page, and please add some pictures. Hope to see many club members on this outing.